Did you know that black beans only came to Europe in the 1500s? Before then, it was only cultivated in South America. There, the beans were prized for their high protein and fibre content. 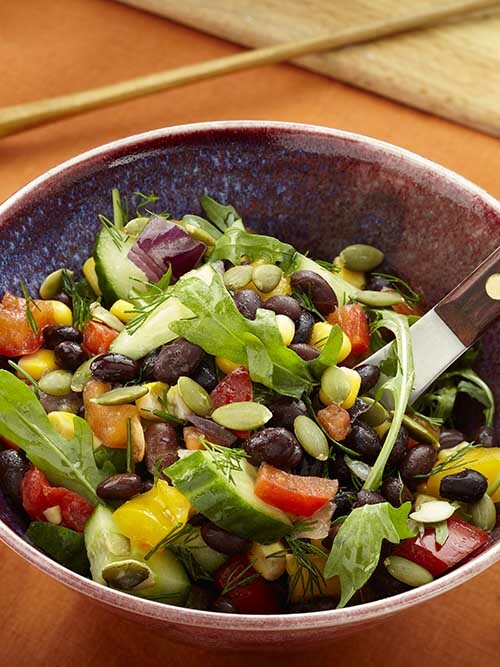 Consequently, our Black Bean Salad is full of plant-based protein from the black beans and pumpkin seeds. All of our salads are made fresh with natural ingredients so you can be assured you’ll feel great after eating them! 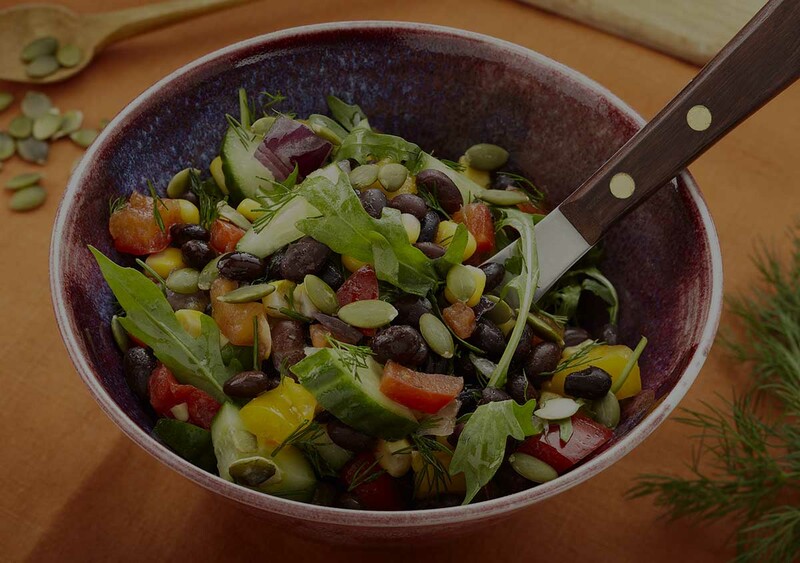 Organic black beans 44%, organic sweet corn, peppers, cucumbers, red onions, rocket leaves, garlic, dill, black pepper, sea salt, pumpkin seeds, organic lemon juice. NO ADDED OIL.